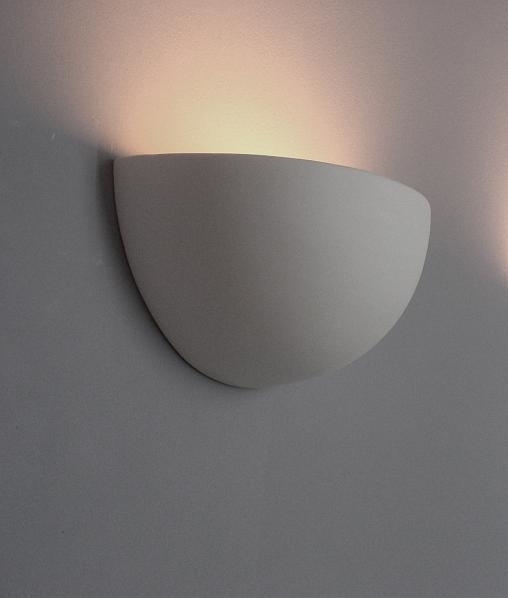 This is the standard wall version of the Bowl Ceramic Corner Uplighter, used to provide effective ambient light via indirect light. The light is easy to fit, simply feed the mains wiring through one of the pre-drilled holes, connect to the terminal block and screw to the wall. The product comes in a smooth white finish which can be painted any colour to suit your decor ensuring it will look great in any home. Also available as a corner wall light and in more finishes and shapes, please check back as we expand to include all variations of this range, you are sure to find one that will suit your living space perfectly.